Star Wars’ most famous phrase – “May the force be with you” – has spawned one of the funniest word plays of all time. After some witty wordsmith made the connection, “May the fourth” has since become the official Star Wars Day. If you’re in London, pop into the Disney Store on Oxford Street for the chance to meet actor Jeremy Bulloch, who plays Boba Fett (May 4, 12-3.30pm). There’s another photo op with the Jedi Master Yoda wax model, before the figure appears at the new Star Wars experience at Madame Tussauds from May 16. 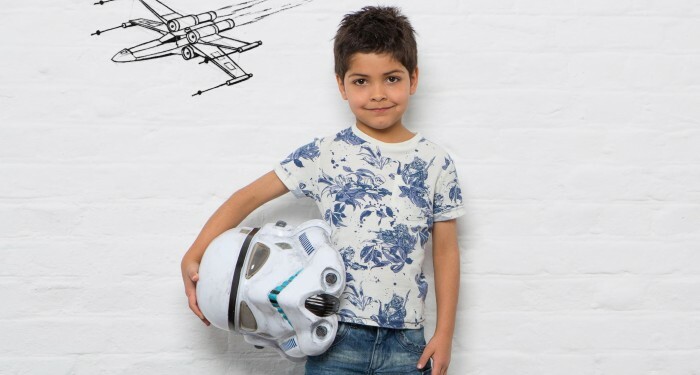 At other Disney Stores across the UK from May 2-4, all the family can master some ‘Ways of the Force’ skills, including how to use a lightsaber. Daddies, form an orderly queue please! 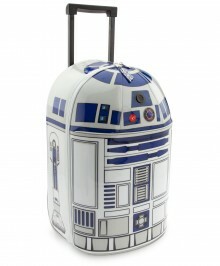 R2D2 Trolley Case with Sound Intergalactic – and international – jetsetters will cut a dash with this pull-along suitcase that lights up and emits space-like worblings. £28 from Disney Store. Pop! 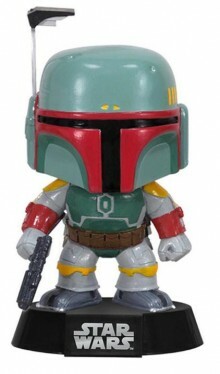 Vinyl Bobble-Head Shrunk to pint-size proportions, the cute Pop! figures are perfect for display or executive play. 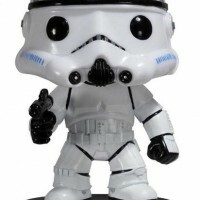 £9.95 by Funko. See full review of Pop! 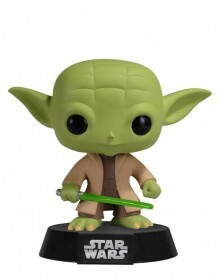 Star Wars Bobble-Heads here. 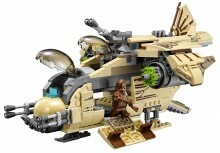 Lego Wookiee Gunship The iconic battleship from Star Wars: Rebels has weaponry galore, including movable cannons and rapid shooters, plus four mini figures. 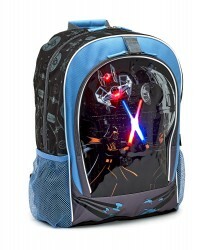 Star Wars Light-Up Backpack Featuring Darth Vader and Luke Skywalker locked in battle, this backpack also features flashing lights. 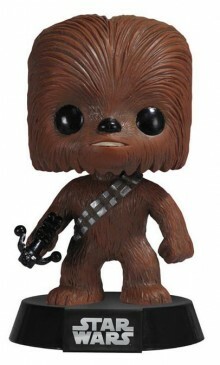 £18 from Disney Store. 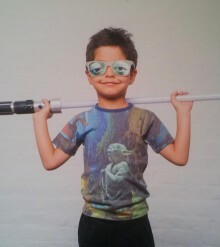 Vintage Print Yoda T-Shirt Soft-touch cotton T-shirt featuring a reproduction of the original concept art of Yoda in the Dagobah system by Ralph McQuarrie. Ages 5-12 years. £35 by Courage + Kind at Harrods. 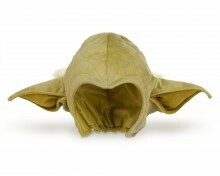 Yoda Ears Emulate Yoda in an instant with this snazzy hat – perfect for instant dress-up fun. £10 from Disney Store. 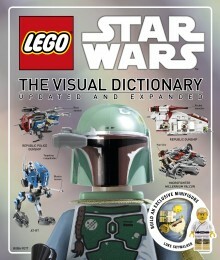 Lego Star Wars The Visual Dictionary Trivia, facts and pictures galore, plus an exclusive Luke Skywalker mini figure. Published by DK, hardback, £16.99. 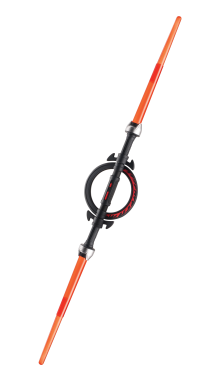 Star Wars Rebels Inquisitor Lightsaber Join forces with the baddies (just for the heck of it) with the ‘double-bladed’ weapon. £30 by Hasbro. Read our full review of Star Wars Rebels Inquisitor here. 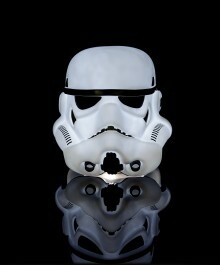 Stormtrooper Mood Light The perfect means to lighten the Dark Side with a soft, warm glow… From £15. Read our full review of Star Wars Mood Lights here. 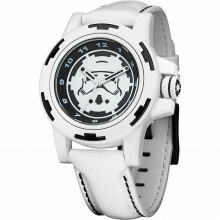 Star Wars Stormtrooper Watch Chunky analogue timepeace in a special gift box with certificate that declares its authenticity as a “genuine Star Wars Collectors Watch”. £150 by Zeon at Disney Store. 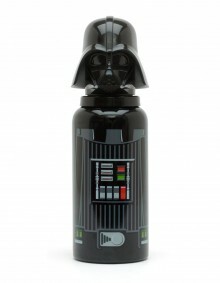 Darth Vader Drinks Bottle Flip Darth’s mask to take a sup from this aluminium flask. £7 from Disney Store. 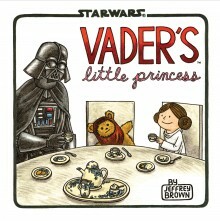 Vader’s Little Princess This brilliantly witty graphic novel by Jeffrey Brown see a domestic Darth Vader testing his parenting skills as he copes with a rebellious teen daughter, Princess Leia. Published by Chronicle Books, hardback, £9.99. Fun fact One of the earliest known records of “May the 4th” used in popular culture is in 1979, when Margaret Thatcher won the election and become Britain’s first woman prime minister. To celebrate their victory, the Conservative party took a half page ad in the London Evening News. The message, referring to the day of victory, was ‘May the Fourth Be With You, Maggie’.